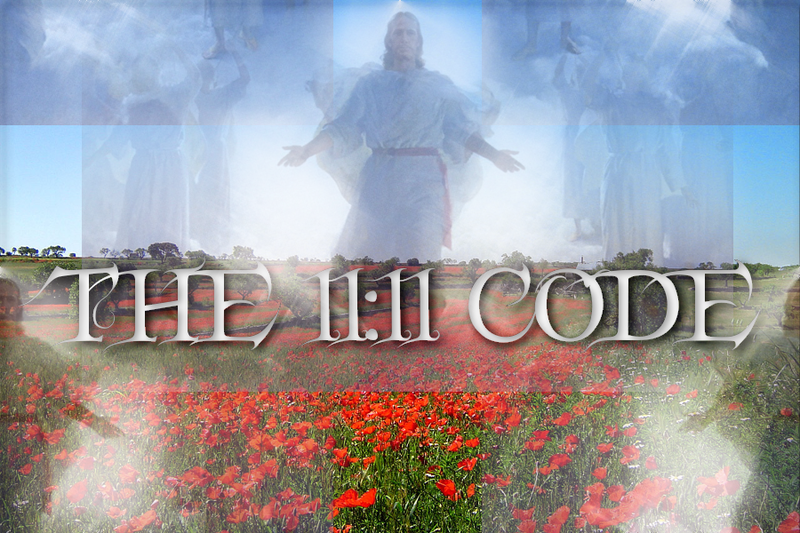 Working with the 11:11 Code on 11/11 : Honouring the dead by stepping out of war consciousness. The time has come for us to move out of ‘War Consciousness’ energy and into the higher vibrations of peace and joy. It is there that we will be reunited with those that we honour and love… and lost too soon. I’ve recently been connecting into my ancestral energy, and at the Chalice Well Gardens in Glastonbury, my Grandfather came through. He has only come through once before, via a Medium, so it surprised me a little. My Grandfather, like so many, risked his life in service during World War 2. He was one of the ‘lucky’ ones that came back. They all made sacrifices for us and we all take time to honour it on Remembrance Sunday/Memorial Day. My Grandfather’s message mirrored one that I first received two years ago, which I presented to people during a meditation evening- that it was “Time to let go of war consciousness”. The world was meant to be released from war consciousness on 11/11/1918, following the end of the “war to end all wars”. Only it didn’t work, humanity didn’t learn its lesson, we went through it again. That WW1 ended on 11/11 was not by accident. It has been used to bring everyone into the lower vibrations and frequency of guilt and suffering. That we should suffer as they did, that we should be constantly at war, repelling the borders from invading forces. It is all fear based. As James Redfield stated in the Celestine Prophecy series, the mission for that generation was overcome a great evil. The lesson for this generation of souls is to let go of the past and not continue it. So why are we continuing with it? By choice. We can chose to step up into a lighter path, holding the light that promotes peace above all things. We can do this now. In my opinion, there is nothing more patriotic and in honour of our ancestors than to make the best of the future that they handed to us- they fought for all peoples’ futures. Now is the time to work through any guilt and fears that it always associated with war. Accept that it happened, honour the sacrifices made with loving remembrance and pledge for peace. You can wear your poppy with pride, or give tribute in your own way, that’s not what’s at stake or important here. What is, is you accepting others selling you a story that war is constantly the best answer. It is not, it represents the failure of men (as this is mostly men doing this) to engage properly with one another. On 11/11, a specific angelic code date, raise your vibrations and connect with the angels Uriel and Aurora and the sixth ray of peace. This will help bring in the peace waves, ready for the climax on 11/11/2018- or angelic code 2/2/2 (11, 11, 2+1+8- which becomes 2 in numerology). It will also be the centenary of the ending of the First Word War. That’s very symbolic, no? Note: In addition to the conversation with my Grandfather, I also received a channelled message afterwards: Which I’ve now added here. It helped me compose this piece. “The time has come loving ones, to spread the peace waves across Gaia. The dateline of 11/11 brings great loving peaceful energy waves. For almost 100 years we have watched you sit in war consciousness, stuck in a trap of re-living, regenerating past anger, hurt and suffering, or debts, of guilt and shame forging into a never-ending cycle of action and reaction. The time has come to move out of this lower frequency of guilt, debt and shame. The sins of the past are forgiven, they are no longer carried through from generation to generation. Hold your heads high, move into you heartspace and feel the truth. Even those loving souls who have passed tell you that it is time to break that cycle. They know the truth now, they have moved on. Their sacrifice in life was their generational struggle. Yours is a different challenge. You are tasked with bringing in a new wave of peace and love. You honour them by making the future that they fought for a reality. You honour their plight by restoring the light for future generations. A different struggle, a different battle. It is not with swords or guns, but with light and might. Become a beacon, so that others may see your light and pass it on. Your challenge is to live that which you speak. You must be the generation to stop this cycle. With Archangel Uriel and Aurora, sit with the sixth ray of peace. Bring it in to your light bodies and spread it out now. Next For the love of Lilith!